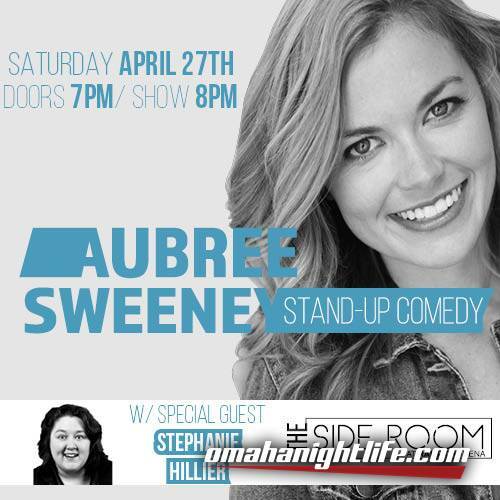 Nationally touring comedian and Nebraska native, Aubree Sweeney kicks off her summer tour with a special show and meet and greet at the Side Room April 27th, 2019. Aubree is based out of SoCal and spends her summers in Nebraska teaching Stand-Up and performing. Each year she spends about six months performing in clubs, bars and RV Parks across the country. That's right, RV Parks. Aubree tours the country with her furry-faced pride and joys, Paco and She-Ra in an RV. In fact, she's currently working on a travel show based off of their adventures. Keep an eye out for that. Aubree has become known for her engaging, high-energy storytelling style that relates her observations and life experiences. Between shows, Sweeney is a tireless animal advocate. She is also proud to support the men and women who serve or who have served in the U.S. military, and is thrilled to announce that a "Thank a Veteran" leg has been added to her "Scenic Route" Tour. Sweeney continues to build her theater resume and is part of several television commercials currently on air. To keep up on Aubree's tour dates, checkout her website. Stephanie Hillier describes herself as a "Walmart version of Melissa McCarthy." Her comedy style is a perfect blend of rapid fire wit, intermixed with a hilarious, high-energy conversation. Her personality has been described by an audience member as, "Stephanie's like the funniest friend I never had!" She was a finalist in the Lucky Seven Comedy Contest at Joey's Comedy Club as well as a Finalist for the Great American Comedy Festival in Norfolk, NE. Stephanie hosted the World Series of Comedy, a country wide competition that is based in Vegas, for two years. Find out more at steffunny.com. Elvin is a relative newcomer to the Omaha Comedy Scene but has made an impression, winning the Omaha Clash of the Comics at the Funny Bone. 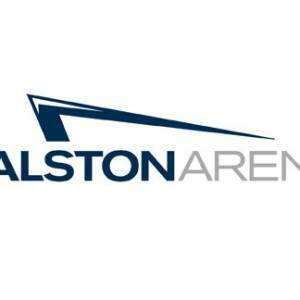 He has opened for nationally touring comics and featured on numerous shows around the metro. Don't miss the fun! Tickets are only $10!